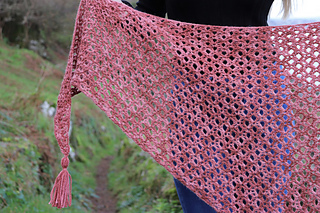 Introducing Halo Shawl. 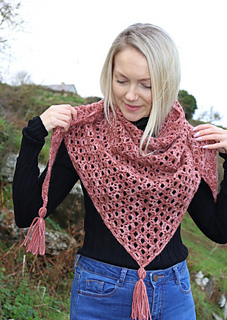 It is a versatile fun pattern, written for DK weight yarn. 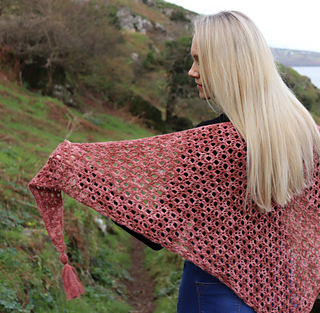 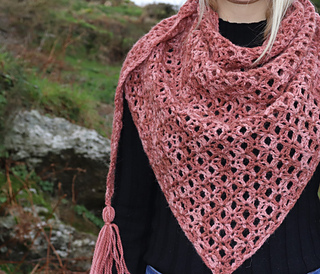 Less than 500m of yarn will make this cosy warm shawl to wrap around your neck. 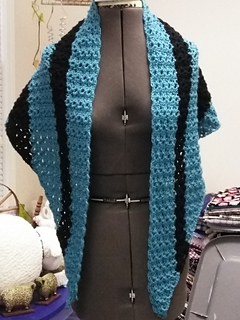 Beginner friendly design, using basic stitches. 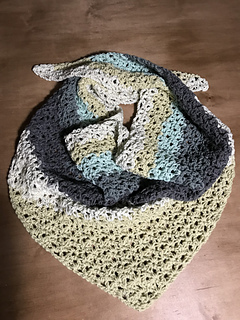 A quick make, perfect for gifting! 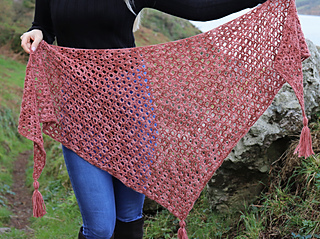 You can also use any weight yarn in your stash, just use the hook size that suits your tension. 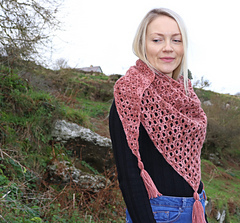 The pattern is very versatile and suitable for a beginner. Only basic stitches are used in this pattern. 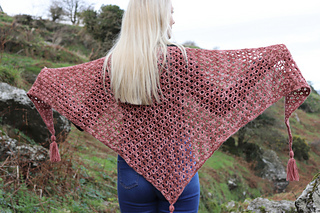 Shawl is a triangle creating a wing span with a width of approx. 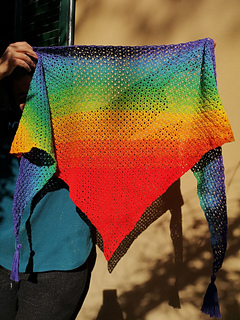 76” The main body is worked in one piece from bottom-up, increasing on each side until a shallow wide triangle is made. 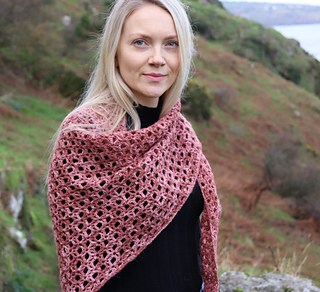 The shawl can be made larger or smaller by working more or fewer pattern repeats.